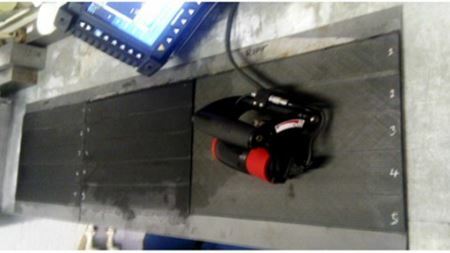 Babcock says it has developed a new technique allowing non-destructive examination (NDE) of composite repairs and the underlying substrate. Eriez has developed a range of rare earth (RE) drum separators which feature Erium 3000, a high quality rare earth permanent magnetic power source. ebalta UK has added an ultra high temperature product for use in the automotive, aerospace and composite sectors to its range of epoxy tooling boards. Move designed to strengthen technical support of Technic's fast growing business in Asia. Decreases seen in both shipments and bookings for printed circuit boards. TenCate Advanced Composites has completed the acquisition of thermoplastic composites specialist Performance Materials Corporation (PMC) Baycomp. The administrators of Lola Cars and Lola Composites have cut 73 jobs at the two companies while the search for new owners continues. Leading coatings association warns that premature governmental action could jeopardize efforts in harmonizing regulations between Canada and the U.S.
Plant to accommodate the production of the newly designed Chevrolet Colorado midsize pick-up truck. Leading developer and provider of high- performance protective coatings recognized for recruiting military personnel. The solar powered aircraft Solar Impulse is to attempt its longest flight, from Switzerland to Africa. Therma-Tron-X, Inc. Showcased On TV's “Manufacturing Marvels" program. Custom paint finishing system designer/fabricator featured in a two-minute “spotlight” of capability and manufacturing ability. Morris Technologies, Inc (MTI) has been awarded its second Small Business Innovation Research (SBIR) grant from the US federal government. Alcoa has built a greenfield aluminium lithium facility to create alloys for aerospace. Intertek, a provider of quality and safety solutions, has acquired VIGALAB, a testing laboratory supporting the mineral and mining industry in Chile. GTSO has identified two tungsten mining entities for potential acquisition, joint venture and partnership in the US and one in the Canada. Divestiture will allow greater focus on advanced composite materials and separation technology applications. Doug Mattscheck , formerly with AGY, to take the helm on May 29. Redesign improves functionality as well as accessibility on a global level. Umeco’s Structural materials operations in Derby and Manchester in the UK have been awarded certification to aerospace best practice standard AS9100C. Lola Group Holdings Ltd has issued a statement announcing its decision to appoint an administrator to Lola Cars International Ltd and Lola Composites Ltd. US Liner Company is re-launching its Bulitex and Bulitex Hybrid glass reinforced polypropylene composite sheet for the transportation industry. Newly released Federal Reserve report shows reflects 1.1% increase in output; revisions issued for February and March. High-performance coating products from Akzo Nobel chosen to refurbish portions of the famed Maracanã Stadium and the Grêmio Arena in Porto Alegre. Metalformers anticipate softer sales over the next three months. Benteler-SGL GmbH & Co KG has invested €36 million in a new plant in Austria to manufacture automotive components made of carbon composites. The global market for aluminium is forecast to reach 71.2 million tons by the year 2018, says a new report from Global Industry Analysts, Inc (GIA). AOC's new Vipel® F010-H2O-00 vinyl ester resin is certified to the NSF/ANSI 61: Drinking Water System Components-Health Effects standard. DSM Composite Resins has announced a price increase for its complete portfolio of unsaturated polyester and vinyl ester resins. A New Zealand professor has made electric guitars via additive manufacturing (AM). 1,300 square feet added to meet growing demand. Brazilian company Edra Equipamentos has created an ATM booth using composite resins partially derived from renewable resources from Elekeiroz SA. SP-High Modulus, the marine business of Gurit, is exhibiting at the Sanctuary Cove International Boat Show in Queensland, Australia, this month. Deal broadened to include other cobalt-based Nanovate (TM) coatings systems and a new field repair process recently developed by Integran. Latest survey reflects slightly diminished sentiment—but still strong overall outlook—among automotive supply base. The 2012 Shanghai PM Expo, which was sponsored by Höganäs, reflected the international nature of the industry, as well as the growing Chinese market share. Umeco will be promoting its new branding at the 2012 SAMPE 2012 trade show in Baltimore this month. Technic.com/eu showcases an expanded product line and region-specific news and events. Four individuals recognized for distinguished service to the industry. The Boeing 787 Dreamliner has been honoured with the Grand Prize during the 2012 Hermes Awards for Innovation. George Gallager named applications specialist. US business aircraft maker Hawker Beechcraft Inc has filed for reorganisation under Chapter 11 of the US Bankruptcy Code. The EURECOMP project will hold its first training event, focusing on the recycling of thermoset composites, in Brussels on 22 May. Unitech Composites and Structures has invested in non-destructive inspection (NDI) equipment to aid its production and inspection processes. DeVilbiss, Binks and Owens Community College team up to educate coatings professionals. Features include events listings and meeting schedule as well as latest association news. AGY has increased production of its S-2 Glass® fibre reinforcements by 20% to meet growth in demand from aerospace and industrial markets. Innovative Composites International Inc (ICI) has announced an agreement to supply its EcoScape™ composite modular homes for a housing project in Antigua. Manufacturing sector continues upward trend. International machine tool specialist Mag has developed a high-torque T-Rex spindle available on four-axis 1250/1600 HMCs for the machining of hardmetal. Bodycote plans to open a new surface technology plant in Houston, Texas, USA. Specialist engineering and manufacturing company Formaplex has increased production space by a further 30% with the opening of a new 15 000 ft2 factory. Randy Francisco named general manager; Dennis Buhl appointed business development manager. AIMPLAS is coordinating a European project called MAC-RTM, which is aiming to develop a system for curing resins using microwaves. NASF outlines primary objectives for 2012, calls for broader industry support. PPG Aerospace Products Cleared for Takeoff! Coatings systems pass aerospace material specification testing. Key economic indicator shows continuous growth in manufacturing. The following stories were the most popular with visitors to the Reinforced Plastics website during the month of April.